The competent authority procedure is a dispute resolution mechanism available to taxpayers facing cross-border disputes under an applicable tax treaty. The taxpayer may invoke this procedure to require the tax administration’s competent authority function to “endeavor” to resolve the dispute by “mutual agreement” with its counterpart in the treaty partner jurisdiction. Despite the seemingly weak commitment to “endeavor” to agree, the Final Report on BEPS Action 14 confirmed that treaty partners are legally obligated to endeavor in good faith to reach agreement. And, although it may seem surprising for a process that relies on good faith conduct, most cases result in an agreement, typically with one or both of the competent authorities compromising its administration’s initial position. For example, the U.S. competent authority office within the Internal Revenue Service’s Large Business and International Division historically has reported relief achieved for eighty-five to ninety-five percent of the total amounts at issue in the cases it closes. Companies increasingly opt to invoke the competent authority procedure as international tax disputes proliferate around the world, with the number of cases more than doubling in the last ten reported years. It may not always be the best mechanism in a particular case, but it generally merits serious consideration by taxpayers where a treaty applies. The taxpayer should, in any case, evaluate all available procedural options at the outset, both to identify the best option and to avoid surprises. While domestic law procedures, such as administrative appeals and litigation, are normally also available in most countries, in some cases these may prove less effective for avoiding double taxation because of their potential inability to ensure full relief without the agreement of the other contracting state. In addition, the use of one process may preclude the use of others. For example, some countries take the position that competent authority consideration may be precluded or delayed if the case is first litigated. Furthermore, where a case has been litigated under domestic law with a final judgment, some countries, including the United States, take the position that the competent authority is precluded from agreeing to a different result. Potential pitfall: U.S. taxpayers have two additional strong incentives to consider the competent authority process where available. First, Treas. Reg. §901-2(e)(5) identifies competent authority consideration as one of the “remedies” the taxpayer must generally “exhaust” where “effective and practical” to avoid a potential IRS challenge to its foreign tax credit claim. Second, current IRS competent authority procedures prevent taxpayers from pursuing IRS Appeals relief first and competent authority second; competent authority consideration must be pursued either first or simultaneously with IRS Appeals. To make an informed choice between the competent authority process and other alternatives such as appeals and litigation, taxpayers need to know how the process works, both in principle and in current practice between the jurisdictions concerned. The remainder of this article focuses on key considerations relating to these aspects. under most treaties, even cases of double taxation not otherwise covered by the treaty. The competent authority procedure can also be used to conclude generally applicable bilateral agreements regarding the interpretation or application of the treaty, such as definitions of terms not defined by the treaty, either at the request of taxpayers or at the initiative of the competent authorities. Potential pitfall: Some competent authorities take the position, contrary to the Organisation for Economic Co-operation and Development’s current guidance, that they may exclude selected issues from consideration; these exclusions are often reflected in unilateral administrative statements or adopted simply as a matter of practice, so eligibility of a particular issue for consideration should always be confirmed at the start. The taxpayer normally initiates a competent authority proceeding with a written request for assistance under the treaty. The treaty may specify certain requirements, which must be confirmed, because they can vary. Many treaties require that the taxpayer file the request with its country of residence, although the recent BEPS work encourages flexibility on this aspect of the process and seeks to ensure that the treaty partner jurisdiction is at least made aware of the request. Tip: While the BEPS Mutual Agreement Procedure (MAP) peer review procedures provide incentives for competent authorities to act promptly on competent authority requests, taxpayers may wish to consider filing their requests simultaneously with both competent authorities to avoid delay. The office of the U.S. competent authority encourages this. It is critically important to meet any applicable deadline to file the competent authority request, as competent authorities often lack the authority to waive the deadline. Many U.S. treaties refrain from imposing a filing deadline, but the standard OECD treaty language requires the request to be filed within three years of the “first notification” to the taxpayer of the action resulting in taxation not in accordance with the provisions of the treaty. The term “first notification” is generally understood to refer to the issuance of a written assessment or demand for payment, but that may not be clear, or the competent authorities may adopt different interpretations. Therefore, it is generally a best practice for the taxpayer to file its request as soon as possible. Potential pitfall: Disputes about withholding tax require particular attention, as OECD guidance indicates that the withholding itself generally may be regarded as the first notification, although the withholding itself is not an “action” by the tax administration. In addition, some competent authorities take the position that a domestic law statute of limitations may apply to impose a deadline for filing the competent authority request, even where the treaty imposes no deadline or even a later deadline. Finally, a few treaties require the taxpayer to provide written “notification” to one or both competent authorities of the potential need for future assistance. This notification obligation, which typically can be satisfied with a short letter, applies in addition to the request filing obligation. The deadline for providing such notification may fall before an examination has been concluded or, in extreme cases, even before one has commenced. This occurs because the notification deadline runs from the end of the taxable period concerned, without regard to the date of “first notification” to the taxpayer, and in some countries may be earlier than the date on which the statute of limitations on assessment expires. This is a particular concern under the U.S. treaty with Mexico but also arises in practice under certain other U.S. and Canadian treaties. Tip: All applicable deadlines for competent authority requests or notifications in both countries should be identified as early as possible, and a local advisor should be consulted regarding the potential application of a domestic law deadline that may be inconsistent with the stated treaty deadline. As for when it is permissible to file a competent authority request, treaties generally provide that the taxpayer need not wait for the tax in question to be imposed or exhaust domestic law procedures before requesting competent authority assistance. Some competent authorities may agree to proceed at an even earlier stage if persuaded that the case involves taxation clearly not permitted by the treaty, such as a published position asserting a disputed withholding tax obligation. However, many competent authorities, including the United States, prefer to wait until at least a tentative adjustment has been proposed in writing, and some even require the issuance of a final notice of assessment despite treaty text and OECD guidance to the contrary. Competent authorities vary in their willingness and ability to suspend the collection of the amount in dispute. Their position is normally governed by local law or practice, although a few competent authorities have agreed bilaterally to suspend the collection of tax on a bilateral basis. The taxpayer, therefore, may be required to pay part or all of the assessed amount in advance. Tip: Not all agreements to suspend collection of tax have been concluded in writing or published, so it is prudent to ask a local advisor before paying. Treaties typically do not specify requirements for the content of the competent authority request. Both the OECD and the United Nations have published guidelines specifying information that could usefully be provided, however, and the competent authority sometimes can be persuaded to follow these suggestions and to refrain from additional requests. One or both competent authorities may also have adopted specific unilateral requirements, and a failure to satisfy those may result in rejection of the request. This is true both of the United States and of some of its major treaty partners, although the U.S. competent authority is sometimes willing to fulfill requests for limited exceptions. In other countries, the tax administration may not have issued public guidance regarding competent authority requests as urged by the OECD, but may nonetheless have certain expectations. This is another point that should be confirmed in both countries from the start, as some requirements and expectations require very substantial information-gathering, analysis, and disclosure to the competent authorities and perhaps, directly or indirectly, to their examination colleagues as well. Most governments view the proceeding primarily as a division of taxing jurisdiction between the tax administrations, and the taxpayer is not considered a party to the competent authority proceeding. As a result, the taxpayer is not permitted to participate directly in the competent authority case discussions. However, most competent authorities are willing to meet on a unilateral basis with the taxpayer to discuss the case, and taxpayers are sometimes permitted to present their factual view of the case simultaneously to both competent authorities. Treaties typically require the competent authority to which the request is addressed to first consider whether it can grant unilateral relief. Although relief is provided unilaterally in rare cases, cases normally are considered bilaterally. Competent authorities generally prefer to discuss and resolve cases face-to-face; those with large bilateral inventories typically meet frequently, sometimes as often as three or four times per year, whereas meetings between other competent authorities tend to be less frequent. Competent authorities with established relationships may be more willing to communicate by telephone, facsimile, or other remote means, and this practice appears to be increasing as case inventories grow. Treaties do not require the competent authorities to reach a mutual agreement, nor do they set a deadline for the conclusion of such agreements, so it is common for the proceeding to take two years or more from the date of request to the conclusion of the agreement paperwork. A case may be discussed at several meetings or even put aside for some time without progress. Although even a two-year timeframe normally compares favorably to the time it would take to appeal and litigate the matter, competent authorities have come under growing pressure in recent years to reach agreement more quickly, and the BEPS Action 14 Final Report specifies an average timeframe of twenty-four months as a minimum standard to resolve MAP cases. Given the MAP Forum peer review process, competent authorities are expected to strive to reach resolutions within this period. In addition, the growing acceptance of arbitration should improve resolution time. Potential pitfall: As pressure grows on competent authorities to conclude agreements quickly, and as divergent views emerge on certain issues, some may be inclined to be more selective in accepting taxpayer requests as an inventory management measure or for policy reasons. Such limitations on access to MAP clearly are contrary to BEPS commitments, and taxpayers may wish to challenge them through the MAP peer review process or other avenues. Many competent authorities will attempt to resolve cases on the basis of principle, which is a best practice under both OECD and BEPS guidance. However, competent authority proceedings often involve issues on which there is fundamental disagreement, so in practice a completely principled resolution is not always reached. In such circumstances, the competent authorities are likely to attempt to reach a compromise to bridge the gap in their positions, even if they cannot articulate a fully principled basis for it. The resulting unpredictability may suggest that the competent authority process is better suited for situations in which the taxpayer’s primary goal is to avoid double taxation rather than to achieve a particular tax treatment in each country. The competent authority agreement is memorialized in an exchange of letters between the competent authorities, either setting forth a general interpretation or prescribing a specified result for a particular case. It often is quite brief and merely states the conclusion without a rationale. This exchange is treated as confidential under the treaty, so a separate letter(s) is sent to the taxpayer(s) describing the agreement and providing instructions regarding its implementation. Once an agreement has been reached, implementation normally is unproblematic. Required “repatriation” payments or adjustments to intercompany accounts, currency exchange, and other collateral issues generally are addressed in the competent authority agreement. Tip: The taxpayer should identify collateral or implementation issues and raise them proactively with the competent authorities to ensure that they are addressed to the extent possible. For example, the U.S. competent authority has authority to waive the interest that would otherwise accrue in connection with “repatriations” and typically agrees to do so, but the taxpayer must make a request in advance. IRS procedures make this the taxpayer’s responsibility and require that all such issues be raised with the U.S. competent authority before even a tentative agreement is reached. Because it is often difficult to predict when a tentative agreement may be reached in face-to-face discussions, it is prudent for the taxpayer to raise collateral or implementation issues before or soon after the negotiations commence. The taxpayer may reject an agreement reached by the competent authorities if it chooses. However, this is rare and, at least for U.S. taxpayers, may create foreign tax credit risks. institutional issues affect competent authority consideration. Examples of barriers to access include, for example, the effective forcing of exam settlements through inflation of the proposed adjustment (e.g., with a much lower assessment offered if competent authority consideration is waived); the assertion of novel deadlines; unwarranted positions that an issue is a domestic law issue rather than a treaty issue and thus is ineligible for consideration; and outright rejection of the request or failure to engage in competent authority discussions after accepting the request. Bad behavior during competent authority considerations may include, for example, inordinate delays in the proceeding that rise to the level of stonewalling; the adoption of revenue-driven or other unprincipled positions; the advancement of positions based on new policy preferences that are inconsistent with existing treaty or domestic law provisions; and the unwillingness even to consider compromising particular treaty issues (e.g., the existence of a permanent establishment). 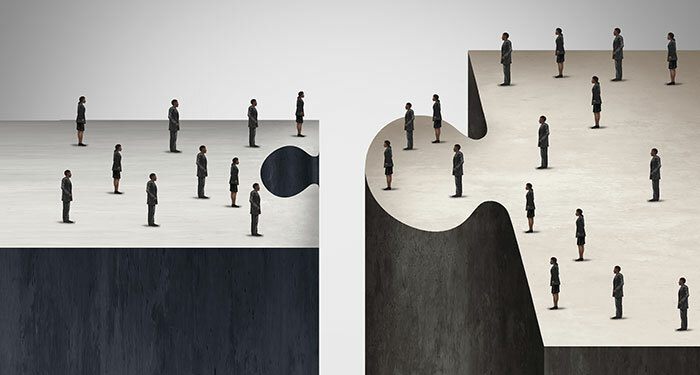 Institutionally, the competent authority in a particular country may have inadequate authority or institutional power to conclude agreements, be unable to cope with growing case volumes, or face serious staffing or other resource constraints. These behaviors probably follow in the first instance from the rapidly expanding compliance focus on international tax issues around the world and the resulting increase in disputes eligible for competent authority consideration. However, the lack of a clear understanding or consensus regarding some of the new BEPS principles is also clearly a contributing factor, with the incomplete consensus reached on, and continuing policy discussions of, some of these principles even being cited by some competent authorities in their discussions of prior years. Taxpayers should always evaluate all of their procedural options as early in the process as possible. However, in most cases where the competent authority procedure works as intended, it provides the taxpayer with full relief from double taxation or taxation that is otherwise not in accordance with the treaty. Although the procedure does take some time, it normally is quicker and less burdensome than appealing and litigating a dispute, and it provides bilateral relief, with the taxpayer’s income, earnings and profits, and other relevant tax attributes adjusted in both countries. In addition, although the agreement is binding only for the taxable periods addressed by the competent authorities, it often has the practical effect of avoiding disputes in subsequent years; this can even be accomplished on a binding basis if the competent authority procedure is paired with an accelerated competent authority procedure (ACAP) or, for a transfer pricing or profit allocation issue, if it is converted to an advance pricing agreement (APA) with rollback application to the past years. There are, admittedly, problematic practices in some countries that can interfere with the proper operation of the competent authority procedure and thus with the intended operation of the treaty. Most of these practices are inconsistent with the minimum standards of BEPS Action 14, which all participants in the Inclusive Framework (currently 111 jurisdictions) have committed to follow, and all are inconsistent with best practices identified in BEPS, OECD, and UN guidance. Taxpayers that do encounter such practices should consider assisting current improvement efforts by providing input to the new BEPS MAP peer review process, either directly, through trade associations, or by reporting to the competent authority in their home country or the OECD Secretariat. Editor’s note: This article provides a general overview of the competent authority process and flags some current hot topics that may require more nuanced consideration. The competent authority process is, however, a creature of bilateral treaty relationships and their interaction with domestic laws and procedures, so its operation may vary from country to country. In addition, the process continues to evolve in response to international improvement efforts. Therefore, taxpayers should seek current advice in each relevant country about their specific issues. Carol Dunahoo is a partner at Baker & McKenzie LLP in Washington, D.C., and a former U.S. competent authority.